*Fractions are rounded to the next whole pound. 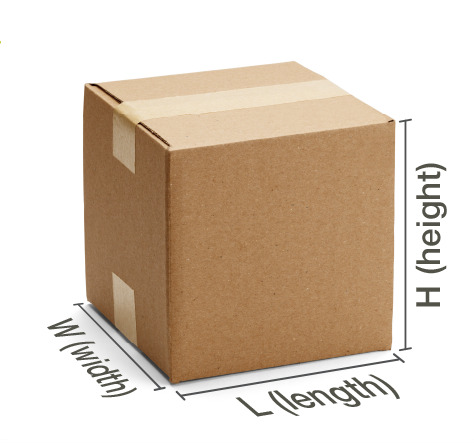 Dimensional weight reflects the amount of space a package occupies in relation to its actual weight. Think about the available space in a truck or plane – if your package is taking up a bit more space than the weight the package captures in rates, you will pay for that space. Often referred to as “Dim weight”, pricing is based on volume versus actual weight of shipments. It is calculated by determining the cubic size of a package — multiplying its length by width by height and dividing by 139 (U.S. domestic services packages less than or equal to 1,728 cubic inches will continue to use a 166 divisor). The merchant will be charged the greater of the Dim weight or the actual, scale based weight.